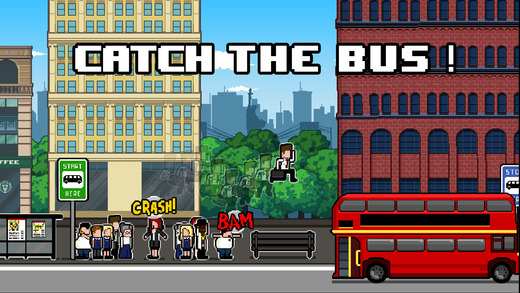 Quite a while back now, we reviewed a game called Catch the Bus by Tiny Games. At long last, this is our interview with the developers of this simple yet very well thought out game. 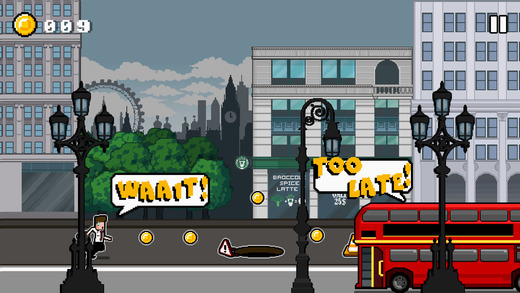 If you’d like to check out our review of Catch the Bus, you can do that here. Before we start, we’d like to thank the Tiny Games Team for participating in our interview, and for spending some of their valuable time answering our questions. Thanks guys! Now without any further ado, our interview begins. Ok first up, why did you decide to make Catch the Bus? The idea came from our passion for runner games. We really love this genre, very common on the mobile gaming market but very funny as well: we think that with this game category you can unleash the best creativity (and a bit of craziness) possible. Let’s talk clear: in what other games you can make the protagonist jump on the head of a hipster guy? 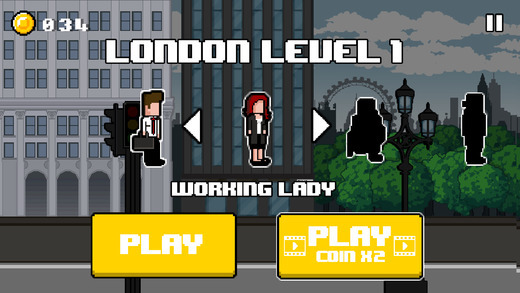 Why did you decide to use Pixel graphics when making Catch the Bus? We love old school games. We grew up in the 16bit era and therefore we prefer pixel art to modern graphics. Just for reference, the visual artist behind catch the bus has still got the NES and Mega Drive linked to an old tube TV. How did you come up with the idea to stage the game in famous cities around the world? We like to travel very much, as we assume you as well as other people in the world do. That said, bus are being missed everywhere in the world. We thought the theme and the routine were something shared by a lot of people and that creates empathy within players. Now for some geeky questions. What programming language and or software did you use when making Catch the Bus? We used Unity and developed in C# and it was something decided by the company, to give physics the best feeling possible. Ok, here is a difficult question. What was the hardest problem you needed to overcome when developing Catch the Bus? One of the biggest problems was developing the game to have a “smooth” action (in a runner game this is MANDATORY) despite many parallax levels. It was very hard to develop collisions as well. A few words to Catch the Bus fans on Edamame Reviews. Thanks for the wonderful chat guys!